Childrens’ eyes are special, and they deserve someone who specializes in pediatric eye care. Luckily, Sanjeev Dewan, M.D. of Ohio Eye Alliance is nearby. Dr. Dewan specializes in the problems children encounter. He is able to examine children at any age, even those who are too young to participate in their exam. Early detection of vision problems greatly improves the chances of successful treatment in children. Unfortunately, knowing a child is having problems is not always easy. Often a child does not know that anything is wrong, and believes that everyone sees the same way they do because they have never had normal vision. Many times eye problems are very subtle or are only noticeable occasionally, so even the most attentive parents are not given any warning signs. At birth, a child’s eyes are examined for obvious signs of disease or malformation. Some children are born with cataracts, which can be present in the family history. Most primary care doctors (family doctor or pediatrician) perform some type of vision screening at regular check ups. Patients with suspected problems are then referred to a specialist in pediatric ophthalmology to diagnose and treat the problem. A report will also be sent to your pediatrician to keep them informed. A pre-school age child’s eyes should be tested by the primary care doctor at least between 6 months and 1 year old, at 3 years, and 5 years old. Early referrals to a pediatric ophthalmologist are especially needed if there is any family history of amblyopia (lazy eye) or strabismus (crossed eyes). In strabismus, one or both eyes can turn in any direction while the other may look straight ahead. Sometimes this only occurs intermittently, especially when the child is tired or ill. The eyes can switch which one turns as well. Amblyopia can occur due to eye misalignment, a difference in the vision between the two eyes (which is often treatable with glasses), or other disease. Even without a known family history, a child can be diagnosed with an eye problem. 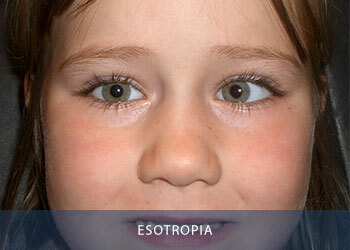 Usually by age six, a child with untreated amblyopia or strabismus will suffer some form of permanent vision loss. In school aged children, vision difficulties can often lead to learning problems. Many children with untreated visual problems lag 2 or more grade levels in reading skills. Struggles with learning and resistance to reading can often be attributed to poor vision. Therapy for vision trouble can involve wearing glasses, patching one eye to force the other to improve, using eye drops, or surgery. 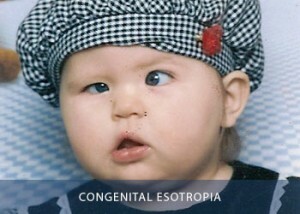 Treatment is based on the child’s age and the severity of the vision impairment. Since a child’s eyes continue to develop as they mature, it is common for treatment to change over time, and for them to need updates to glasses prescriptions often. Children with diagnosed vision problems should be seen at least once per year, or more often as directed by the doctor. Remember to schedule your child’s appointment at a time when they are less like to be sleepy or hungry. Working around normal nap times can create a much more productive exam. Bring a small snack and quiet toys for the waiting room time. Advise the staff if your child has specific problems with letters, or does not yet know their alphabet so that pictures or numbers may be used to determine visual acuity instead. And try to relax, your child is more likely to become anxious if you seem nervous.